The Grace Guild is the “mission” branch of our congregation. Congregational women are members of the national organization, Women of the Evangelical Lutheran Church in America (WELCA), whose headquarters are in Chicago, Illinois. Grace Guild members attend annually a convention of the Metropolitan NY Synod (MNYS) Women of the ELCA. WELCA’s purpose is to encourage women to act boldly in faith. “She Opens her hand to the poor, and reaches out her hands to the needy,” drawn from Proverbs 31:30, is this year’s theme. Women will gather to support the ministry of Our Sister’s Place, a ministry of Lutheran Social Services of NY. Our Sister’s Place is a group residence for pregnant and parenting youth in foster care that offers emotional, educational, vocational, social and cultural support. To support our local, domestic and global mission work, the Grace Guild sponsors bi-monthly Bake & Food sales. Members donate home-made food and baked delicacies. These are purchased voluntarily by congregational members who are very supportive of the Guild’s mission partners and projects. The Nassau chapter of Thrivent Financial for Lutherans, a fraternal organization, frequently provides matching grants to further the Guild’s ministry. The Guild supports the Outreach programs of Port’s food pantries sponsored by Our Lady of Fatima and St. Peter’s Churches, a layette ministry by St. Stephen’s Church, and the programs of the Parent Resource Center and the Port Washington Children’s Center. In cooperation with Our Lady of Fatima, the Guild adopts a local family in need at Christmastime, providing new clothes and toys. 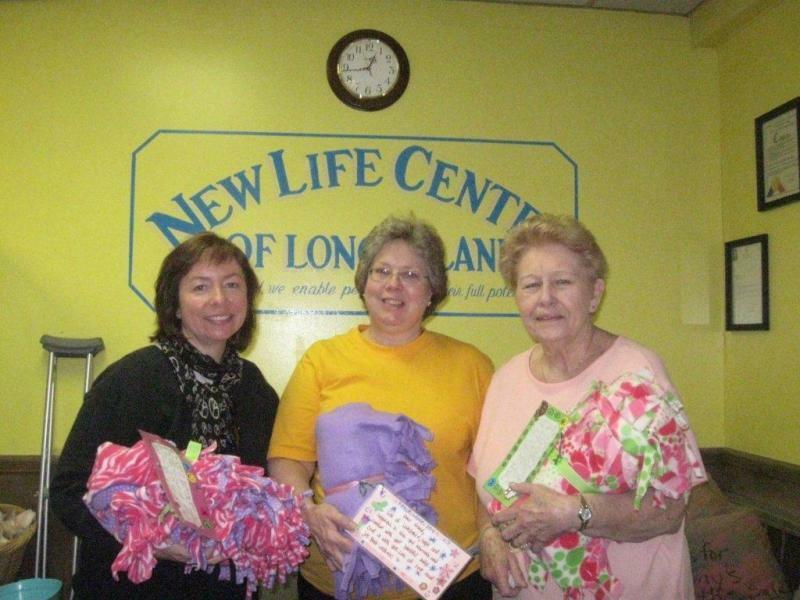 The New Life Center in Uniondale, a life-enriching ministry of Lutheran Social Services of NY receives considerable support from the Grace Guild and the congregation. The Guild collects school supplies, layette, and non-perishable foods for the Center. Thanksgiving food baskets are assembled by us in early November and delivered to the Center. In turn, the Center distributes the baskets to families in need. The Guild has faithfully supported homeless veterans living in specially designated and designed independent living housing in Brooklyn, Bronx, and Long Island. We deliver bedding, blankets, and personal care items to some of our veterans. Recently, the Grace Guild supported financially the Meal Packing Event at LI Lutheran Middle & High School in Brookville. Several members volunteered their time to pack 310,044 meals which were distributed to Island Harvest; the Interfaith Nutritional Network (INN); St. Patrick’s Church, Huntington; St. Hugh of Lincoln, Huntington Station; Our Lady of Grace, Howard Beach; and, the Freeport Emergency Food Pantry. Additional meal packets are shipping to the Andrew Grene School outside of Port au Prince, Haiti. The Grace Guild always welcomes new members to this active mission work and is most thankful for the generous Congregational and Pastoral support it receives!